Velocity Artist-in-residence Amy O’Neal deconstructs her new work, The Most Innovative, Daring, and Original Piece of Dance/Performance You Will See this Decade, by sharing the processes she uses in creating choreography. As part of The Project Room’s Authorship series and Velocity’s Next Fest NW Theft + Devotion, this performance-lecture explores the role of the dancer as an author, performer, and collaborator while exposing O’Neal’s creative influences. As always, discussion with the audience is encouraged! 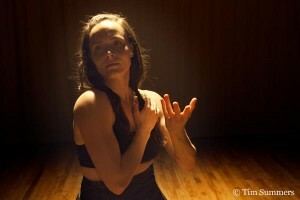 Join us later that evening at Velocity Dance Center for an 8pm performance for Next Fest NW. This program is a partnership between The Project Room and Velocity Dance Center’s Speakeasy initiative. InAuthorship, Why Do We Make Things?